The universe was shaken once again on Midsummer’s Day in 1801. The Bennet Wardrobe’s door to the future was opened in the book room at Longbourn. This time, the most impertinent Bennet of them all, Elizabeth, tumbled through the gateway. Except she left not as the grown women with whom we have become so familiar, but rather as a 10-year-old girl who had been playing a simple game of hide-and-seek. What/where/when was her destination? What needs could a young girl, only beginning to learn to make her way in the Regency, have that could be answered only by the Wardrobe? Or were the requirements of another Bennet, one who began as younger, but had aged into a beautiful, confident leader of society, the prime movers behind Lizzy’s journey? Is the enigmatic Lady Kate the force that shaped the destiny of Lizzy and her younger sisters left back in Hertfordshire? How do the visions of the future brought home by young Lizzy help shape her world? 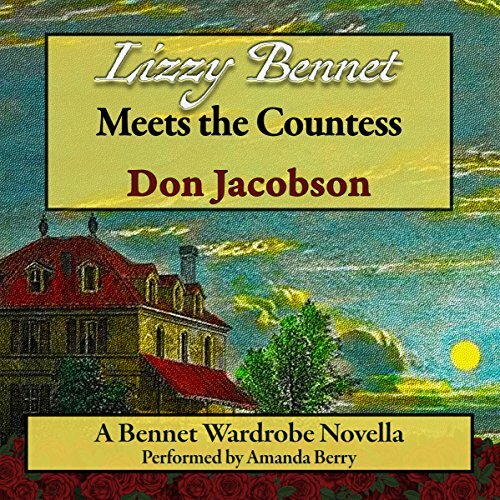 Answers to these and other questions raised in the Bennet Wardrobe series can be found in Lizzy Bennet Meets the Countess. This is a medium-length novella that considers a slice of time between the end of The Exile: Kitty Bennet and the Belle Époque in 1892 (volume two of the Bennet Wardrobe) and the beginning of Henry Fitzwilliam’s War in 1915. 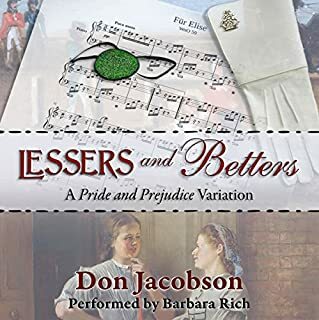 After Lizzy is transported back to that bucolic summer day in 1801 proto-industrial Great Britain, Lizzy Bennet Meets the Countess will carry all listeners forward to what may be considered the greatest writers’ workshop in history. T’was at the legendary Villa Diodati on the shores of Lake Geneva that Lord Byron gathered Mary Godwin (Frankenstein), John Polidori (The Vampyre) and Percy Bysshe Shelley for a vacation during the Year Without a Summer. Fitzwilliam Darcy and his wife, Elizabeth, were there to act as catalysts that would transform vague ideas into timeless speculative fiction. The concept for the book is really interesting and I appreciate the blending of worlds/periods/times with important literary figures. I wish there was a little more “action” to the story. The highlight for me was the narrator! So many different voices and dialects. She was a lot of fun and easy to listen to and set a great pace for the story telling. 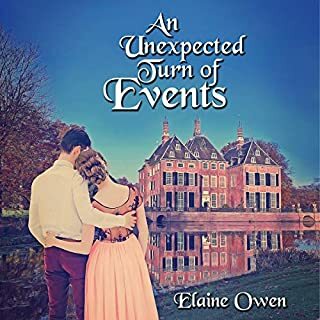 This was my first peek into the Bennet Wardrobe Novellas, and, while I do wish I had started with more knowledge of the series and its devices, I thoroughly enjoyed this journey on its own. We are transported into a world with which we are familiar, but surprises abound and delight us. Brilliant narrator, Amanda Berry, captures the precocious energy of young Lizzy and dazzles us with the cast of colorful characters surrounding her. I look forward to reading more in this series and beyond from Ms. Berry. 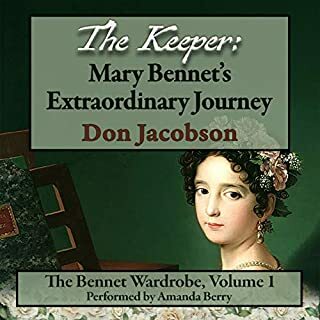 I had the delicious pleasure of continuing my audio voyage through the Bennet Wardrobe series narrated by the delightful Amanda Berry with a couple novellas tucked in between the two halves of The Exile part of the Bennet Wardrobe story. I glanced back through my first impression of this book when I read it in electronic version and discovered that my thoughts and reactions to the story itself were unaltered. I'm going to provide a 'cut and paste' of the original review and add my thoughts on the narration work. A delightful interlude in the Bennet Wardrobe series with Elizabeth Bennet, in her youth and as mature woman, being the central figure. 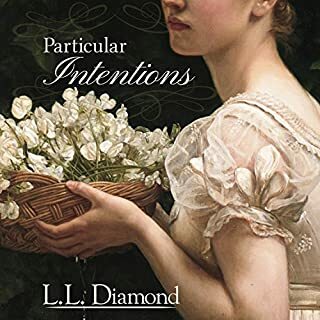 Lizzy Bennet Meets the Countess falls between The two parts of The Exile and does not make for a good place to begin the series nor should it be read before The Exile: Kitty Bennet and the Belle Epoque. This is a pair of novellas highlighting Lizzy Bennet at two different times in her life. The first tells the story of precocious ten year old Lizzy getting a time travel experience through the wardrobe. The focus is Lizzy and yet the story is a heartwarming follow-up (yes, the one I wished for after reading The Exile vol. one- wish granted) with Kitty (or rather Lady Kate as she is known in her modern times), Henry, Maggie, Jacques and their children on summer holiday. I loved this peek-in on their lives and felt the bittersweet tang of Kitty being with her older sister, but not being able to act as more as a distant aunt. I will say, I found this version of a ten year old girl, educated or not, had the mature thinking and processing that rivaled a Mensa child. I let it go and went with it because I was enjoying the story. The second story takes the reader into Lizzy's married years with Darcy. Sadly, they have lost a child and Lizzy's grief is overwhelming so Darcy takes her on a trip to the Continent. The pair encounter Byron, Pollidori, Shelley, and Goddard in their famous meeting by Lake Geneva that generated such fantastic classic literature. Lizzy is despondent, but in her despair, she fuels the creative mind of the woman who would write Frankenstein. It's a sad, poignant tale with gothic overtones that I found diverting as I love the old classic Frankenstein and it was a reminder that I never have encountered Pollidori's The Vampyre yet. 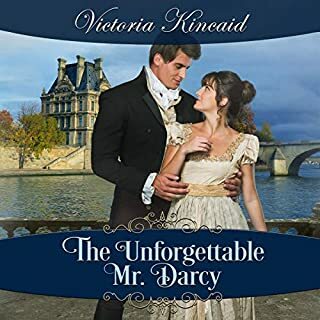 Audio format has the ability to make me feel more and that was the case with this version of Lizzy Bennet Meets the Countess. The first story was sweet and had a cuteness that left me smiling. Amanda Berry captured the sisters and the others so well. The second story hit me emotionally with Lizzy and Darcy's loss and their travels to help heal. I found the setting fascinating and the famous literary people there equally so, but it was the pathos of the Darcys' situation that remained the draw for me. Again, Ms. Berry was something else and carried the book from very good to even better. So, this was a fast listen of these two stories and engaging for a fan of the series leading up to the second part of Kitty's story. The stories were very different in tone. I was drawn to the first one by my fixation on Kitty and Henry, but I thought they were both well worth the read. Again, I gently urge Austenesque lovers to give this fabulous and unique time travel series a try. Another masterpiece by D. Jacobson which leads us through the magical and sometimes humorous Bennet Wardrobe. This time we follow young Elizabeth Bennet as she is transported through time to the roaring 20’s and 30’s England and Deauville. 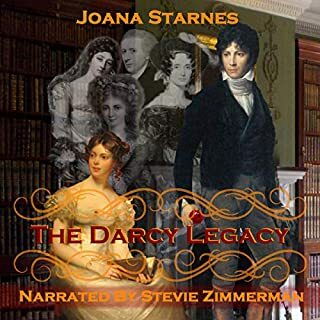 Most of the story are following Elizabeth, both as a child but also later when she is married to Darcy. The couple visits Lake Geneva, where they meet some of the times greatest literary people; Percy Shelley, the woman who would become Mary Shelley and of course Lord Byron. This takes place in 1816, the year without a summer. Amanda Berry once more made my imagination run wild with how Elizabeth, Countess Kate, Maggie, Mr Robards and Henry Fitzwilliam should sound like as live characters. I can only compliment Mr Jacobson’s choice of narrator for yet another piece of his Bennet Wardrobe Series. I can’t wait to hear more of the Bennet girls adventures through the Bennet Wardrobe.